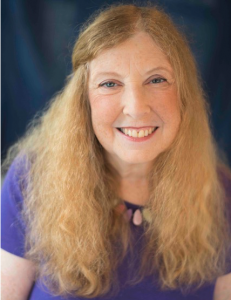 IHA visited with Carol Schroeder, author and co-owner of Orange Tree Imports, to learn about her tips for specialty shop success, which she will discuss at the 2019 International Home + Housewares Show. 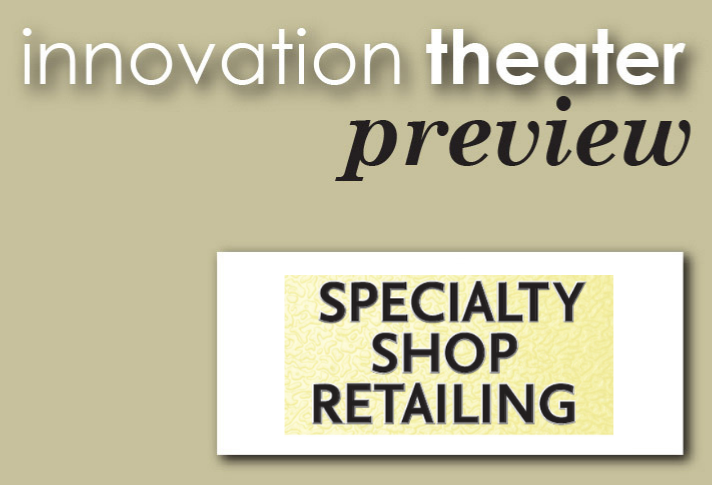 At the Show, the Innovation Theater will feature 21 presentations over four days. Topics discussed will include design innovation, smart home, digital commerce, and global market trends. Carol, tell us a bit about yourself. With my husband Dean, we have been co-owners of Orange Tree Imports, a gift and kitchenware shop in Madison, WI since 1975. The store was recently chosen as one of four finalists for Gifts and Decorative Accessories’ Retailer of the Century. In addition to running the store, I write extensively on all aspects of bricks and mortar retail. 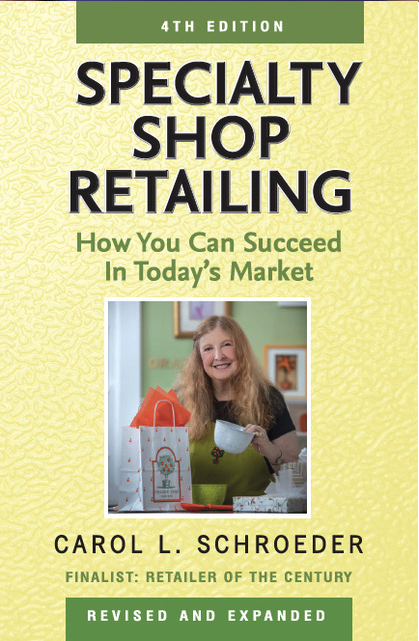 A newly updated and expanded edition of my bestselling book, Specialty Shop Retailing: How You Can Succeed in Today’s Market, is available wherever books are sold, including the website of my weekly blog for independent retailers: www.specialtyshopretailing.com. I’m a regular columnist in Gifts and Decorative Accessories magazine, and speak at gift shows including Los Angeles, New York, Chicago, San Francisco, Minneapolis and Alberta, Canada. I was a charter member of the Retail Advisory Board of the national Gift and Home Trade Association, and have been featured in GHTA presentations in Phoenix, Chicago, San Diego and Florida. What is the most exciting or rewarding part of your work? After more than 40 years as an independent retailer, I still love the day-to-day interaction with customers, sales reps, and our staff. The shared excitement over our shop’s merchandise assortment is the common thread that pulls us together. Can you name a pivotal event or project that impacted your work? Many years ago we heard a University of Wisconsin Extension professor speak about management by participation, and we adapted this approach in our shop right away. The fact that every employee has responsibility for an area of the store, and shares in decision making such as hiring, is undoubtedly one reason that we have staff members who have been with us more than 30 years. The opportunity to share this management technique, along with everything else we’d learned about independent retailing, was the inspiration for the first edition of Specialty Shop Retailing back in 1997. In the past few years, what has changed most in your business? How have you met these challenges in the way you operate? There is no doubt that Amazon, and online shopping in general, has become the Goliath to our David in recent years. But remember how that story ends! We have adapted to the new normal, and strive to provide what the internet cannot: great customer service, an unusual product mix (including some exclusive merchandise) and an engaging shopping experience. Any tips for how to de-stress and find personal time in the demanding 24/7 workplace? Email and social media has made it hard not to work at home after a long day at the store. I enjoy what I do, so I don’t mind using some of my private time to catch up. But as a mom and pop operation, my husband Dean and I learned early on not to talk about stressful work topics late in the evening. Tuesday, March 5 • 9:30 – 10:30 a.m. The Housewares Show was one of the first trade shows we attended, and back then the majority of buyers were from big box stores. I’m excited that the Show now attracts independent retailers like us, and that this session will give these buyers a chance to talk about the issues unique to smaller operations. I will be encouraging attendees to share concerns and success stories, because by learning from each other we can all achieve greater success. Consumers have too much information today – reviews, articles, websites with lots of details. A good specialty shop edits down the selection to make it easier for consumers to make a decision. By proving that customers can trust you, your store can become a go-to source for many types of specialized housewares items. The shopping habits of younger consumers is something we need to focus on. Having a range of ages on your staff is a good way to get in touch with what their peers are buying – and how they make decisions. It’s also fun to do focus groups, and to follow posts on social media such as Instagram to see what is trending. Thank you, Carol, for sharing your expertise with us. It’s not often we can get the chance to get close to decision-makers like you and benefit from your “from the frontline” perspective. Operating a successful shop for 40+ years is definitely impressive! By the time of your session on the closing day of the Show, Tuesday morning at 9:30 a.m., you will have seen the latest products and will be able to share your up-to-the-minute impressions of the market. That will really help exhibitors and buyers prepare for what will be waiting for them when they return to their duties. Your book will also be available for them to take home for more careful consideration.